Who can forget the classic Bugs Bunny cartoons where Bugs is setting out on a vacation adventure via underground burrowing, only to discover once he’s arrived at his destination that he’s not where he should be? 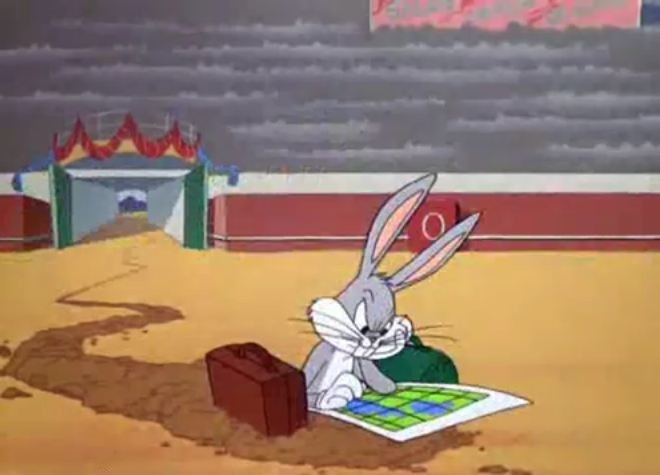 Bugs is pretty lighthearted about the little mix up and after closer examination of his map deduces that he “should’ve turned left at Albuquerque”. But if he’s accompanied by his cantankerous pal Daffy Duck, Daffy of course has plenty to say about the unexpected detour. Unfortunately, someone forgot to tell Daffy that’s how life works. We set goals and plan for a great adventure, but things can, will and do happen along the way. That recent promotion to Executive Admin instead of Marketing Coordinator may not be what you had hoped for or make any sense right now, but perhaps it is a detour that has been placed in your life to prepare you for what is to come? As an Executive Admin you may be responsible for overseeing a group of clerical staff. In this role you will undoubtedly sharpen your leadership skills and learn how to effectively manage people. These added responsibilities, that you probably would not have had as a Marketing Coordinator, will better equip and qualify you for eventually running an entire department as Marketing Director. So while the immediate detour may appear to take you off course, stop and evaluate how this temporary change in direction can truly be to your advantage. So yes, your carefully mapped out plan may get a little off course and perhaps you should’ve made that left at Albuquerque, but consider all of the wonderful opportunities that surely await you as you make your way back to your original route. Relish the journey along the way and you just may discover that your detour in life turned out to be a blessing in disguise. Now here’s a little something to help you reminisce and enjoy some of those classic Bugs Bunny Albuquerque moments. If this post helped you in some way, I would appreciate you sharing with others who may be helped by it as well! Great post Kitara. It reminds me of a popular preacher who constantly reminds us that God has a plan mapped out for you. You may not see the twists and turns, nor understand it, but there is a plan to get you to your life of success. You just need to have faith. Thanks for sharing, I love the metaphor. Life is full of forks in the road. There is always a reason why we choose one direction over another. Thank you for sharing this.